Sanatana Dharma is the original name of the ancient religion now popularly called Hinduism. It has originated in the Indian subcontinent over 5000 years ago. The people who lived beyond the Sindhu River were called Hindus by people of other countries and the term Hinduism later came into use to denote their religious system. Sanathana Dharma is not a religious system like Christianity or Islam but is a value system embodying a code of conduct that has spiritual freedom as its core. The expression Sanathana Dharma is a combination of two expressions, Sanathana and Dharma, whose meaning we shall see first. The word ‘Dharma’ can be defined in many ways. Three of them we shall see here. The first definition of Dharma as given by Jaimini Mahaṛiṣhi in his purva mimaaṃsa sutras, is “codana laksanah arthah Dharmah" meaning ‘anything revealed by Veda is called Dharma‘, in short, Vedic teaching, The second and third meaning denotes the benefit of adhering to Dharma, externally and internally. The benefit at external level is, maintenance of harmony and peace at all levels, macro and micro. The benefit at internal levels is the third meaning of dharma. It is giving one peace and harmony within oneself. 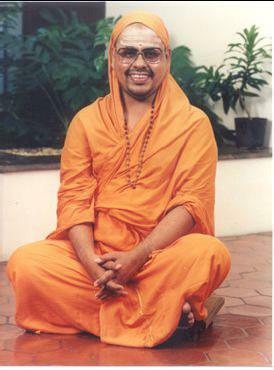 A dharmic person can enjoy peace and joy in life at the material level while earning puṇyam at the spiritual level. Sanathana means eternal and everlasting i.e. valid for all times. It is believed that these teachings have been given by the Lord Himself, through the medium of Rishis. Swethasvatara upanishad states (6-18):. Therefore, it does not have a beginning. The Lord is the maintainer as well of this Dharma. In the Bhagavad Gita(11-18) Arjuna tells Lord Krishna, "tvam avyayaḥ sasvata dharmagopta" meaning ‘you are the protector of this eternal Dharma’. So it is eternal also, with Lord’s protection. So it is beginningless and also eternal and it is called Sanatanam. The second meaning of the word Sanatanam is, that which is ever valid and therefore that which will never go out of date. Therefore, the final meaning of Sanatana Dharma is eternal and ever valid Vedic teaching. These teachings have been elaborated and clarified in several supportive scriptures like smṛti granthas, itihasas, puraṇas etc. The main glory of Vedic teaching is that it helps us to appreciate that the world, in which we are born, is the most wonderful infrastructure that human mind can conceive of. Not only it supports life; but also it supplies all the resources for physical, emotional, intellectual and spiritual growth. It is a well organised system with perfect physical and moral laws. It has provision for the all-round growth of all; humans, animals, trees etc. Taittriya Upanishad in its 7th section of 1st chapter describes how well the external world of objects and people and the internal world of individual body-mind complex are created and maintained. Aadhi Sankaracharya in his Brahmasutra Bhashyam praises creation as a gift from the Lord endowed with inconceivable perfection and order. The second lesson is to remember that the cosmic infrastructure itself has an inbuilt harmony and one should not disturb the harmony. Threat arises only from the human beings and not from the rest like animals, plants etc. So scriptural guidelines are meant for humans only. This basic guideline is twofold: 1) being helpful to others (paropakara) and 2) avoiding harming others. In fact non-violence, ahimsa, at all levels, physical, mental and speech, is glorified as supreme value. All other values are built on the above guideline. The third lesson is one should take care to be a contributor to Nature and not remain a mere consumer. The Vedas prescribe five avenues for offering this contribution, known as pancha maha yajnas. The first is called Deva yajna, where ritual worship is offered daily to the Lord who has provided the wonderful infrastructure. In worship one prays for the peace and joy for the entire creation with the words “Sarve janah sukhino bhavanthu” meaning ‘Let all be happy’. The second is Pitru yajna. It is showing gratitude to parents, who brought one into the world and took care of that one in one’s growing period, by taking care of them in their old age and remembering them even after death through religious ceremonies. The third is Manushya yajna wherein one acknowledges the contribution of other human beings through sharing one’s resources with others, which includes all types of social service and charity. The fourth is Bhutha yajna wherein one takes care of the animals and plants. Fifth is Brahma yajna, wherein one expresses gratitude to the Rishis and Guru parampara who have brought this knowledge to the present generation, by doing one’s best to preserve this knowledge for future generations through study and propagation. Just as a person casts off worn-out clothes and puts on new ones, so also the embodied Self casts off worn-out bodies and enters others that are new. So at death only a worn out or diseased body is replaced by a new body. These thoughts can help to console and avoid the emotional turmoil related to anxiety over old age and death. The scriptures also provide another solution for the problem of anxiety in the form of offering prayers to Lord and deriving strength from the very Lord to go through all these mental turmoils with emotional strength. 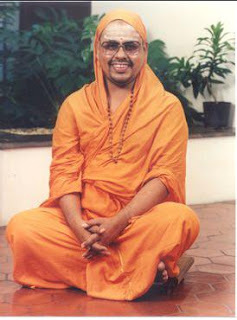 By learning, assimilating and following the Vedic teachings one can partake of the glory of Sanathana Dharma.